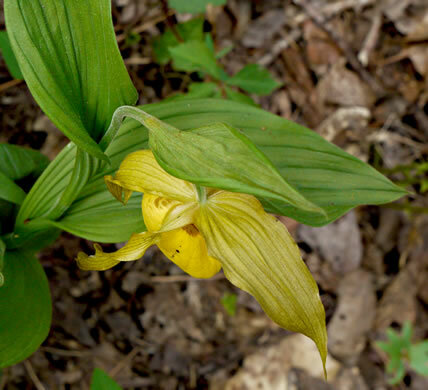 Sepals and twisted petals are greenish-yellow, spreading, and lance-shaped, per Wildflowers of Tennessee. 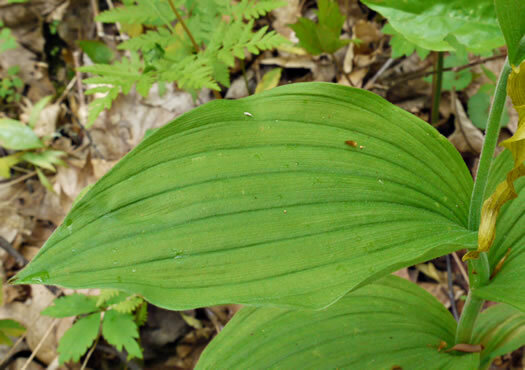 Leaves hairy, pleated, 4-8" long and half as wide, per Wildflowers of Tennessee, the Ohio Valley, and the Southern Appalachians. 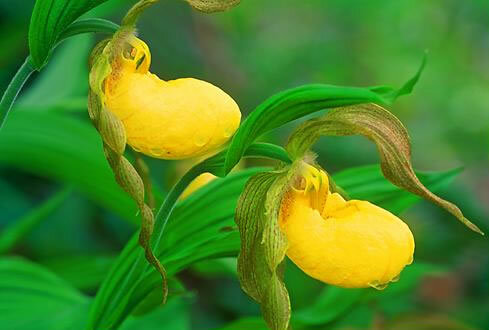 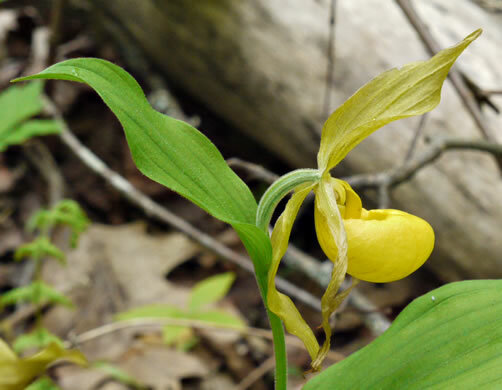 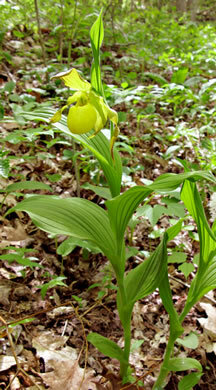 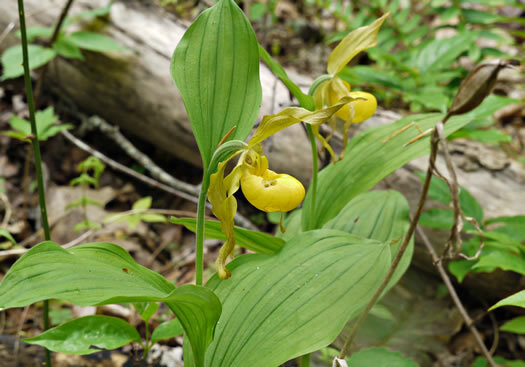 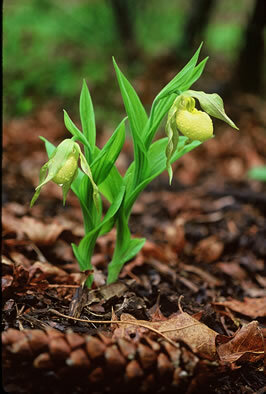 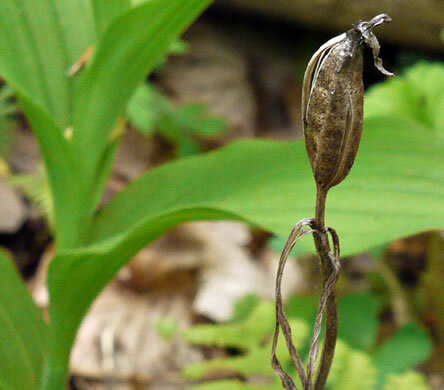 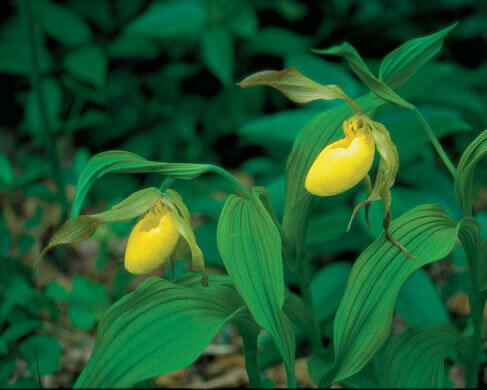 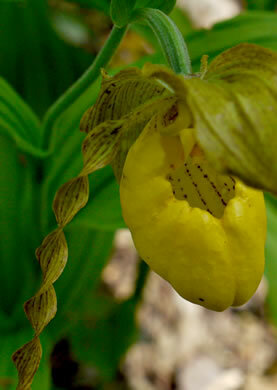 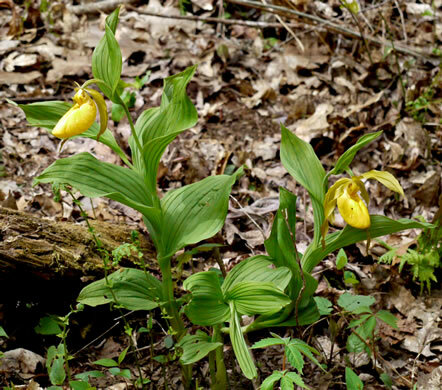 The lip forms the bright yellow pouch that is purple-spotted within, per Wildflowers of Tennessee. 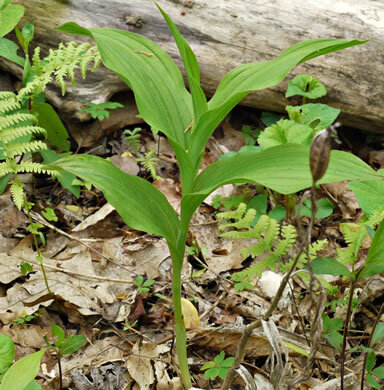 3-5 leaves, mostly sheathed, widely spaced on the stem, pleated, hairy, per Wildflowers of Tennessee, the Ohio Valley, and the Southern Appalachians.